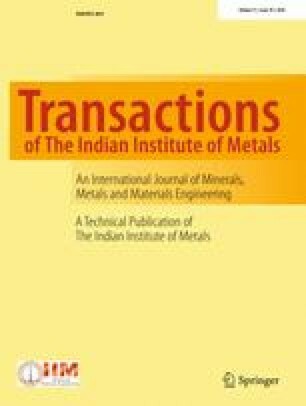 In this paper, the thermodynamic model of nitrogen solubility in vanadium nitrogen microalloyed high strength weathering steels of Fe–Cr–Mn–V–N system, according to Hillert’s model for Gibbs energy of its various phases, was established and validated. In the model, the effect of the nitrogen partial pressure on the activity coefficient and the lattice structure characteristics of the vanadium nitrogen precipitated phase were considered. It would be of guiding significance for the design and smelting of Fe–Cr–Mn–V–N system alloys. Based on the established model, the nitrogen contents in \(\delta\), \(\gamma\), \(\alpha\) phase and liquid were calculated as a function of the temperature for Fe–Cr–Mn–V–N system alloys. The results show that: first, the maximum solubility of nitrogen in the solidification process is obviously affected by the phase transition when there is a sudden change in the solubility of nitrogen at the phase transition point. The maximum nitrogen solubility of the molten steel in the delta phase region determines whether nitrogen bubbles are formed during the solidification process. The nitrogen solubility is lowest in the solid–liquid region (about 1673 K). Secondly, the increase of Cr and Mn content is beneficial to improve nitrogen solubility in liquid and solid phases. However, the increase of V content mainly affects the nitrogen solubility in the solid phase because the nitrogen in this temperature range is precipitated in the form of vanadium nitride, as the second phase plays a role in strengthening. In addition, the alloying element Mn has a significant effect on nitrogen solubility since the Mn element is the promoting element of austenitic formation. During the solidification process, the delta ferrite region gradually reduces and may disappear with increasing Mn content. Therefore, increasing the Mn content of the alloy system in the design of alloy composition, can reduce the precipitation trend of the nitrogen during the solidification process, which can effectively avoid bubble formation in high nitrogen weathering steels. Lastly, with the increase in the nitrogen partial pressure, the solubility of nitrogen increases during the liquid and solid phases. This work was financially supported by the project of green manufacturing system integration of MIIT China (2016-64).